An en banc court of the Ninth has found that a defendant forfeited his challenge to a guideline sentence. Players: Decision by Judge Berzon, joined by CJ Thomas, and Judges Fletcher, Paez, Berzon, M. Smith, Ikuta, Christen, Nguyen, Watford, Hurwitz, and Friedland. Federal Defender Amicus effort by AFD’s Vince Brunkow and Michael Marks, Federal Defenders of San Diego, Inc.
Facts: Depue, who represented himself, was convicted of mortgage fraud after a jury trial. Id. at 1230. The government recommended a whopping OL 39, based on its loss theories. Id. at 1231. The PSR parroted this calculation: pro se defendant Depue didn’t object. Id. Depue was sentenced to over twenty-one years. He appealed, arguing that the loss calculations were erroneous. Id. A three-judge panel held Depue waived his objections to the alleged Guideline errors. Id. at 1231-32. The case went en banc. Issue(s): “We are asked to explain when a defendant is entitled to plain error review of challenges to his sentence that he failed to raise in the district court. Our cases have consistently held that a defendant waives his rights and precludes plain error review only when there is evidence that he knew of his rights at the time and nonetheless relinquished them. Twenty-one years ago, we explained this point in an en banc opinion. United States v. Perez, 116 F.3d 840 (9th Cir. 1997) (en banc).” Id. at 1229. 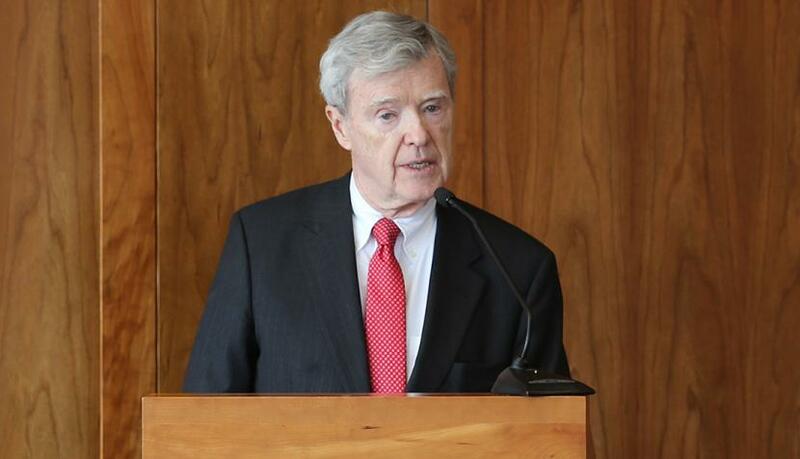 Held: “We reaffirm today this distinction between waiver and forfeiture.” Id. “Confining our en banc consideration to Depue’s challenge to the Guidelines calculations, we hold that Depue’s failure to object to the Guidelines calculations at sentencing constitutes forfeiture subject to plain error review, but that there was no plain error.” Id. at 1230 (emphasis added). Of Note: The Ninth reviewed Depue’s claims for plain error. The threshold issue for Olano “error” is whether the claim was “intentionally relinquished or abandoned.” Id. at 1232. As Judge Berzon explains, “forfeited claims are reviewed for plain error, while waiver precludes appellate review altogether.” Id. (emphasis added). What makes for a “waiver?” Evidence that the defendant knew what they were giving up – a mere failure to object isn’t enough. Judge Berzon writes that “The relevant question is whether Depue knew the substantive legal rules underlying the particular challenges to the Guidelines calculation he raises on appeal, and knew that the district court’s calculation violated those rules.” Id. at 1233-34. The en banc court holds that Depue didn’t know what he was giving up, so he didn’t waive. This distinction “between waiver and forfeiture is particularly important in the sentencing context.” Id. at 1234. A critically important holding, particularly for the extraordinarily complex Guideline (and Taylor analysis) sentencing process – it gives us a shot at plain error review, and getting a botched sentence fixed, on direct appeal. This is a thoughtful opinion, buttressed by policy considerations, and is just flat-out fair: no surprise that all eleven e.b. votes signed onto the outcome. How to Use: The defense in Depue won an (important) battle, but Depue himself lost the war. The Ninth held that, if there were legal or factual errors in the guideline calcs, they didn’t rise to level of plain error. The take-away? 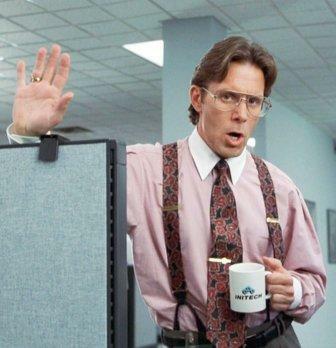 Forfeiture and plain error review is better than waiver and getting kicked out of the Ninth -- but a nice record heavily peppered with clear objections is better than both. 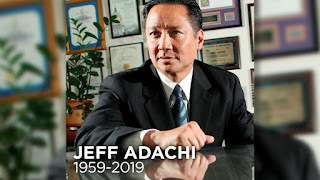 For Further Reading: The national defense community generally, and NorCal specifically, has suffered a tremendous loss with the untimely death of San Francisco Public Defender Jeff Adachi. 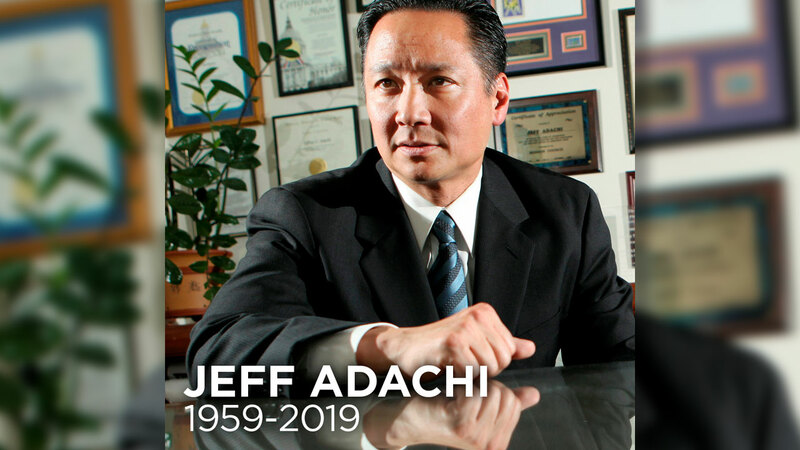 The only elected public defender in California, Jeff was a tireless and fearless advocate for his own clients, for resources for his office and for indigent defense, and for reform of the criminal justice system. Our deepest condolences to his family, and to our PD brothers and sisters: we’ve all lost a good friend and great leader. See SF Chronicle Article here. United States v. Soto, 2019 WL 489065 (9th Cir. Feb. 8, 2019), decision available here. Players: Decision by (visiting Sixth Circuit) Judge Gilman, joined by Judges Paez and Owens. Facts: Soto, along with twenty other defendants, was indicted for crimes relating to exporting guns and ammo to Mexico. Id. at *1. She pleaded guilty to a count of attempting to export ammo, and a count of conspiracy to export guns and ammo. Id. 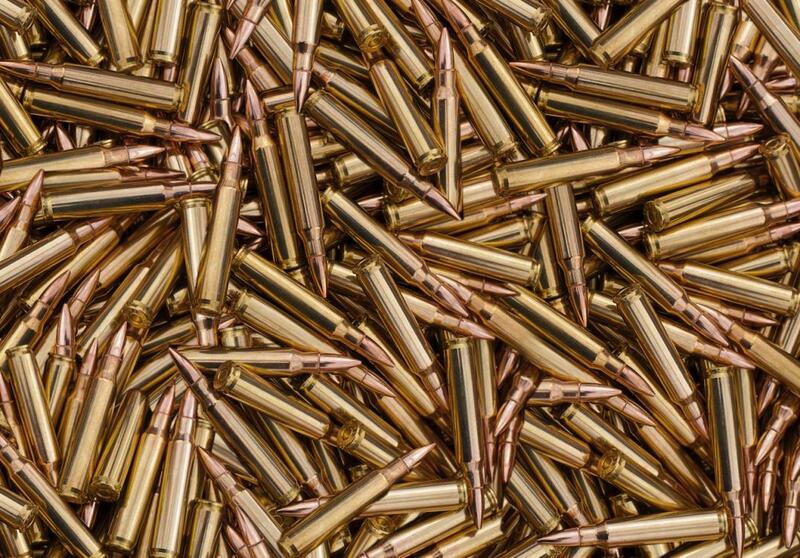 At sentencing, she was hit with a forfeiture order for substitute property worth around $7,000, for ammo that had been transferred. Id. at *2. Soto didn’t object to the forfeiture order at sentencing. Id. After she filed her appeal, Soto filed a Rule 35(a) motion to correct “clear error” at sentencing. The district court denied her motion. Id. Issue(s): “Soto argues that the district court’s forfeiture order was improper because the crimes for which she was convicted do not authorize forfeiture. She also contends that the notice of forfeiture in the indictment was inadequate because it cited an inapplicable statutory provision.” Id. at *1. “Soto argues that criminal forfeiture is available only if a federal forfeiture statute expressly references the criminal statute under which a defendant is convicted. Because Soto was convicted of violating 18 U.S.C. §§ 371 and 554(a), and these statutes are not expressly mentioned in any federal forfeiture statute, she argues that forfeiture is unavailable in this case.” Id. at *2. Held: “Soto’s argument fails because she overlooks 18 U.S.C. § 924(d)(1), which provides that “[a]ny firearm or ammunition involved in or used in any ... violation of any other criminal law of the United States ... shall be subject to seizure and forfeiture ....” Id. “The requirements of § 853(p) were met in this case because Soto had ammunition that was subject to forfeiture and she transferred that ammunition to a coconspirator. Accordingly, the district court committed no error, much less plain error, in ordering the forfeiture of substitute property up to the value of the ammunition that was transferred.” Id. at *2. Of Note: In a third issue on appeal, Soto also argued that she was given inadequate notice of the forfeiture because the government cited the wrong statute in the indictment. Id. at *4. Putting aside some waiver problems, the Ninth warns that it would have not found this to rise to plain error. Id. As Judge Gillman explains, “[E]ven though the indictment cited the wrong statute, Soto was nevertheless provided with adequate notice of forfeiture. The district court therefore did not commit plain error regarding the adequacy of notice.” Id. For Further Reading: In 2018, the Ninth delivered the troubling Briones decision, on Miller and LWOP for juveniles. See blog entry here. The case upheld a life sentence, after Miller re-sentencing, for a Native American defendant who had suffered childhood addiction and who was 17 when he committed the federal offenses of conviction. In Briones, Judge O’Scannlain penned a compelling dissent, refusing to “divine incorrigibility” by “reading a transcript through squinted eyes.” Id. Happily, others on the Ninth shared Judge O’Scannlain’s concerns: on February 13, Briones went en banc. See order here. Here’s hoping for an e.b. flip. United States v. Jessica Soto, No. 18-10070 (Gilman (CA6) with Paez and Owens) --- The Ninth Circuit affirmed the forfeiture order imposed in a case where the defendant was convicted of two inchoate offenses relating to exporting firearms and ammunition. 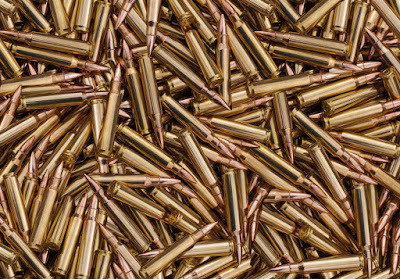 The forfeiture order encompassed substitute property because the defendant had transferred some 28,500 rounds of ammunition as part of the exportation conspiracy. The defendant was indicted with a group of 20 others as part of a conspiracy to export firearms and ammunition to Mexico. She pleaded guilty to one count of attempting to export firearms and one count of conspiracy to export firearms, and was sentenced to four years of probation. As part of the sentence, the district court ordered that the firearms and ammunition involved in her crimes be forfeited to the government, or that substitute property of equivalent value be forfeited. She did not object to the forfeiture order at the time of sentencing. The lack of a procedurally proper objection led the court to review for plain error only. The court first held that the forfeiture order was authorized by 18 U.S.C. § 924(d)(1), which authorizes the forfeiture of any firearm or ammunition that is “involved in” a violation of a federal criminal statute. These firearms were involved in the violations of the exportation and general conspiracy statutes, so even if those statues were not specifically enumerated in another forfeiture provision, § 924(d)(1) allowed forfeiture. The court next held that forfeiture was authorized by 18 U.S.C. § 924(d)(3)(F) because the defendant’s offenses involved exportation of firearms and ammunition. These provisions allow for criminal forfeiture orders whenever civil forfeiture is available and the defendant is found guilty of the offense. The court also held that forfeiture of substitute property was proper. The statute that authorizes criminal forfeiture in cases where civil forfeiture is allowed, 28 U.S.C. § 2461(c), allows forfeiture of substitute property whenever the subject property has been transferred to a third party. That happened here – the defendant transferred the ammunition to a coconspirator. Finally, the court held that the defendant received adequate notice of the forfeiture. Although the forfeiture notice did not cite the proper statutes, it did notify the defendant that she was being exposed to a potential forfeiture of property. On plain-error review, that was enough for the court to affirm. Four months after sentencing, the defendant filed a motion to correct what she characterized as a clerical error in the forfeiture order – the absence of any statutory authority for the forfeiture order. The district court denied the motion. The court did not review the denial of this motion because it was not covered by the notice of appeal that she filed and she did not file a separate notice of appeal from that order. Case o' The Week: "Same either way" not OK - Vederoff and Post-Johnson status of Washington (non)-"Crimes of Violence"
A downward variance to 60 months, or an upward variance to five years – mirror image, same result, yes? United States v. Vederoff, 2019 WL 4706734(9th Cir. Feb. 1, 2019), decision available here. Players: Decision by District Judge Gaitan, WD Mo., joined by Judges McKeown and Friedland. Big win for AFPDs Alan Zarky and Mohammad Ali Hamoudi, of the Federal Defender for the W.D. of Washington. Facts: Vederoff plead guilty to a § 922(g) charge pursuant to a plea agreement. Id. at *1. In his plea agreement, he admitted to Washington convictions for second-degree assault, and second-degree murder. Id. The PSR set his offense level at 24, claiming both of those priors were “crime(s) of violence” that increased the range. Id. The district court rejected Verderoff’s objections to that calculation, but varied downward from the PSR’s calculated range, and imposed a five-year sentence. Id. at *2. The DJ explained that it was a downward variance from a PSR range that was too high, or an upward variance from the defendant’s calculations (without the crimes of violence) that were too low. Id. Vederoff (intriguingly) appealed, despite a plea agreement (an enlightened appellate-waiver policy that merits a look for ND Cal). Issue(s): “[Vederoff] challenges the district court’s findings that his prior convictions for second-degree assault and second-degree murder under Washington law qualify as ‘crimes of violence’ under section 4B1.2(a) of the United States Sentencing Guidelines.” Id. at *1. Held: “Our review of the common law, the Model Penal Code, treatises, and the laws of the other states, . . . compels the conclusion that generic aggravated assault does not include assault with intent to commit a felony.” Id. at *4 (citations omitted). “[S]econd-degree assault under Washington law is not a ‘crime of violence’ under U.S.S.G. § 4B1.2.” Id. at *5. “Washington’s second-degree murder statute is . . . overbroad when compared with the definition of generic murder, as well as the Model Penal Code and the laws of other jurisdictions.” Id. at *6. “Washington courts have concluded that the statute is indivisible, and we adopt their interpretation here.” Id. “[S]econd-degree murder under Washington law is not a crime of violence under the enumerated clause of U.S.S.G. 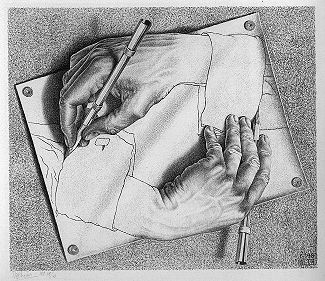 § 4B1.2(a)(2).” Id. at *7. “Having now determined that the proper Guideline range would be 30 to 37 months, we cannot say that the district court’s incorrect calculation of the proper Guideline range was harmless.” Id. at *8. Of Note: In this case, it drove the D.J. 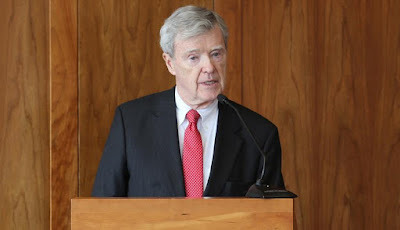 “absolutely nuts as a trial judge to think that things like murder and assault with a deadly weapon could be conceived as not being crimes of violence.” Id. at *2. He tried a belt-and-suspenders “appellate insurance” policy – the District Judge assured us that 60 months was the right sentence, and it could be deemed either an upward or downward variance from the correct guideline range, depending on the outcome of the Johnson analysis. The appellate court couldn’t deem the five-year term as “harmless,” because it wasn’t clear why the sentence was so high above the (correct) guideline calculations. Id. at *8. Vederoff is the latest (welcome) example of District Court / Appellate cat-and-mouse, as D.J.s try to immunize their sentences from categorical attack -- and the Ninth reminds us who ultimately calls shots. See, e.g. Gardenhire blog here. How to Use: Visiting, out-of-circuit, Senior D.J.s making big Ninth law can be troubling (except when we like the outcome). Vederoff falls squarely into that exception -- the Hon. Judge Gaitan is always welcome West. For Further Reading: The Sentencing Commission is 28% staffed. See USSG Commissioner’s page here. (Not that we're complaining). US v. Hill, No. 17-35719 (2-7-19)(Ikuta w/Fernandez & Sessions). This concerns a valiant effort to get Johnson relief for a non-ACCA plea and sentence prior to Johnson. The argument is that the petitioner, a prohibited possessor of a firearm, accepted a plea because of the threat of an ACCA enhancement. Johnson established that he would not have been eligible for an enhancement. The petitioner argues now that he accepted the plea, and was sentenced, based upon misinformation on ACCA eligibility. Essentially, this was a due process argument. The 9th affirmed the district court’s denial of this argument. The 9th held that ACCA eligibility was not before the sentencing court; ACCA was not a basis for the sentence; and the actual sentence was a guidelines one. Thus, there is no perch from which to argue misinformation and hence due process. Steve Sady and Elizabeth Daily, AFPDs, Oregon FPD, tried their best. Case o' The Week: No Date, No Time, yet J/X Fine! - Karingithi, Pereira, and I.J. Jurisdiction from a deficient "notice to appear"
Q: What is the date and time of your immigration removal hearing? 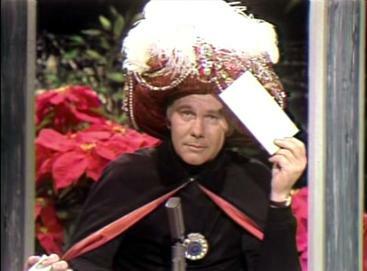 (Even “Carnac the Magnificent” would be stumped by the “notice to appear” just upheld in the Ninth). Karingithi v. Whitaker, 2019 WL 333335(9th Cir. Jan. 28, 2019), decision available here. Players: Decision by Judge McKeown, joined by Judges W. Fletcher and Bybee. Facts: Karingithi, a native of Kenya, overstayed her tourist visa in the U.S. Id. at *1. She ultimately received a “notice to appear with the immigration court.” This notice had the location of the hearing, with a time and date “to be set.” Id. at *2. On the same date she was also issued a “notice of hearing,” which had the time and the date of the hearing. Id. Karingithi conceded removability, but filed an asylum application, sought withholding of removal, and protection under the Convention Against Torture. She also sought, in the alternative, voluntary departure. Id. After five years, these efforts were all denied and Karingithi was ordered removed. Id. She then challenged the IJ’s jurisdiction over her removal proceedings, and the BIA’s decision. Id. Issue(s): “We consider whether the Immigration Court has jurisdiction over removal proceedings when the initial notice to appear does not specify the time and date of the proceedings, but later notices of hearing include that information.” Id. at *1. Held: “This question is governed by federal immigration regulations, which provide that jurisdiction vests in the Immigration Court when a charging document, such as a notice to appear, is filed. 8 C.F.R. §§ 1003.13, 1003.14(a).” Id. “Because the charging document in this case satisfied the regulatory requirements, we conclude the Immigration Judge (‘IJ’) had jurisdiction over the removal proceedings. This reading is consistent with the recent interpretation of these regulations by the Board of Immigration Appeals (“BIA” or the “Board”), see Matter of Bermudez-Cota, 27 I. & N. Dec. 441 (BIA 2018), and the only other court of appeals to reach this issue, see Hernandez-Perez v. Whitaker, 911 F.3d 305, 310–15 (6th Cir. 2018).” Id. Of Note: This decision is important in the criminal context because of its Pereira ramifications. See Pereira v. Sessions, 138 S.Ct. 2105 (2018). In Karingithi, Judge McKeown attempts to distinguish Pereira by noting that the SCOTUS decision dealt with the “stop-time” rule, and this case addresses whether the IJ had jurisdiction after an ambiguous notice to appear was filed. Id. at *2. She explains, “Unlike the stop-time rule, the Immigration Court’s jurisdiction does not hinge on § 1229(a), so Pereira’s narrow ruling does not control our analysis. We conclude that the IJ had jurisdiction over Karingithi’s removal proceedings and that the Board properly denied her petition.” Id. Karingithi is a troubling decision for those mounting Section 1326(d) challenges, but, as urged below, preserve challenges. Efforts to seek review are underway. How to Use: The FPD brain trust has bevvy of beefs with the Karingithi decision (as do a slew of district courts, that have issued thoughtful analyses arriving at the opposite outcome). En banc and amicus efforts are underway. In the meantime, preserve Pereirai challenges through Section 1326(d) motions. While the Kiringithi skirmish may have been lost for now, this jurisdictional battle continues. For Further Reading: Last week we noted that three of President Trump’s Ninth Circuit candidates -- who did not have California blue slips -- had not been re-nominated in the new year. That changed last Wednesday. Attorneys Daniel Bress, Daniel Collins, and Kenneth Lee, were all re-nominated. See White House Press release here. 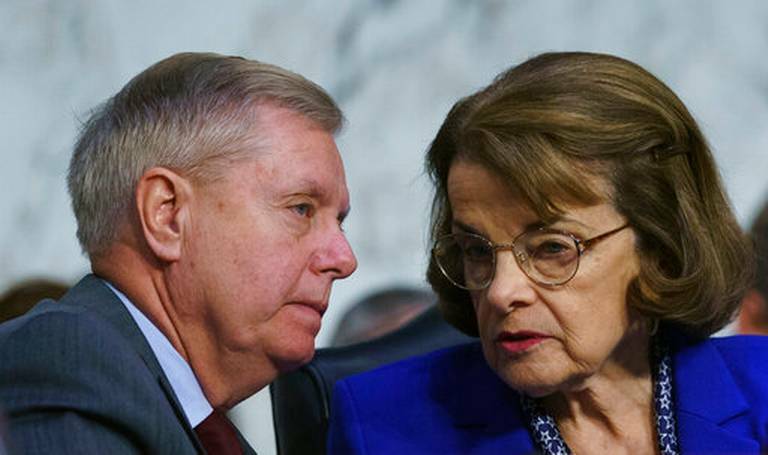 What has not changed are the positions of California’s two Senators. On the same day as the re-nomination announcement, Senators Feinstein and Harris issued a press release stating their opposition to these three nominees. See Senator Feinstein's and Harris' press release here. Will the Judiciary Committee Chair, Senator Lindsey Graham, go forward on these three nominations, over the objections of a Senator Feinstein, a ranking member of the committee? Appears likely. See Roll Call article here.